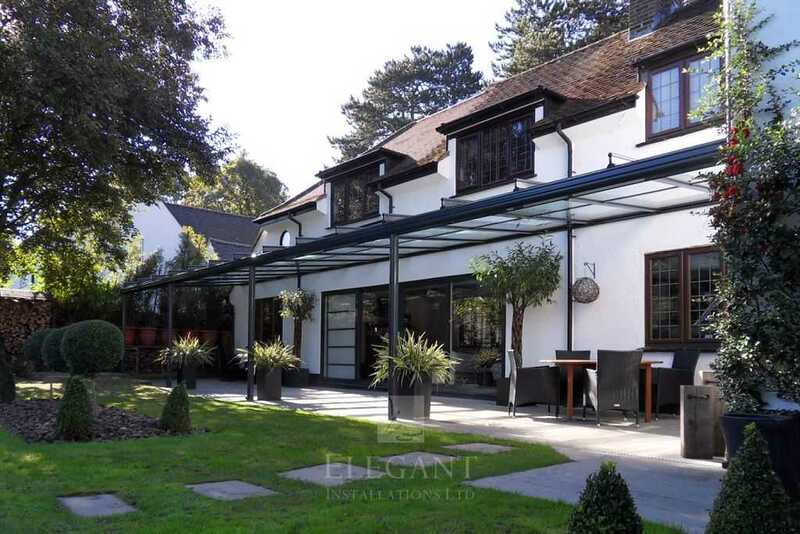 Upon meeting this client we learnt that they’d always intended installing a glass veranda, ever since buying the house, and that they’d planned on spanning the entire 14m patio! Placement of the veranda leg posts was a detail which this client had given much thought to, not surprising given the attention to detail of their garden, and we established how this glass veranda should reach outward setting its leg posts exactly before a drainage grate at the front edge of their patio – following the line along that grate. 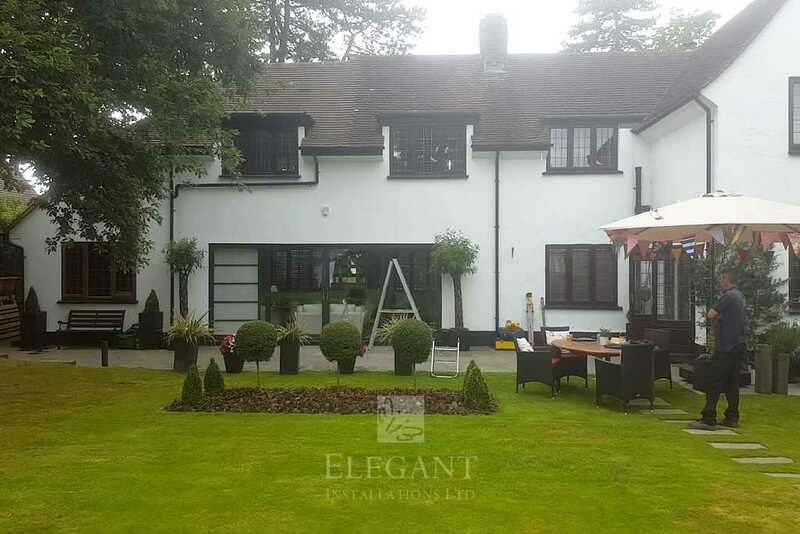 During a detailed consultation and survey we covered further key criteria for their design. This wide glass veranda would span three vertical wall pipes. Dealing with one drainpipe is not unusual, typically built around using an infill panel, but three might have looked unsightly, or inElegant, and so this glass veranda would include one infill around the largest pipe, then holes cut neatly through the glass to accommodate the other two. 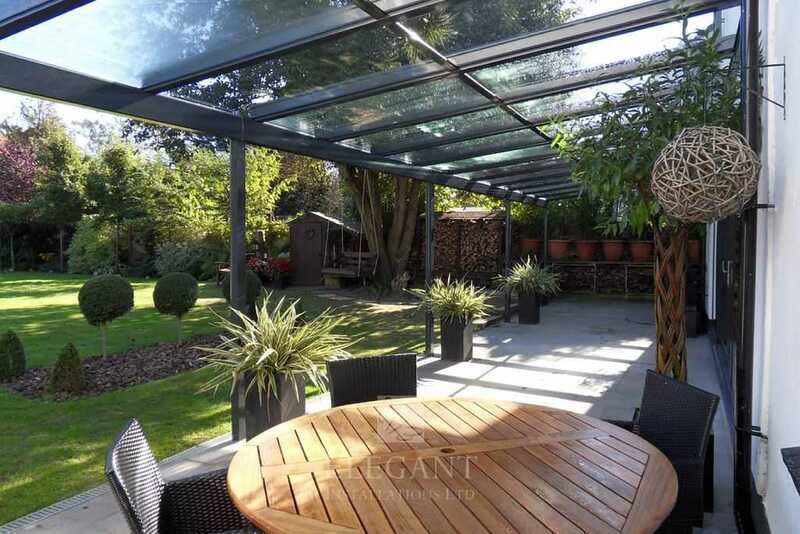 Leg locations mattered also; the client asked that their middle leg sit dead-central to the patio doors, while its two adjacent posts stand exactly 350cm left & right – clear of the patio door view. We CAD designed the construction accordingly. 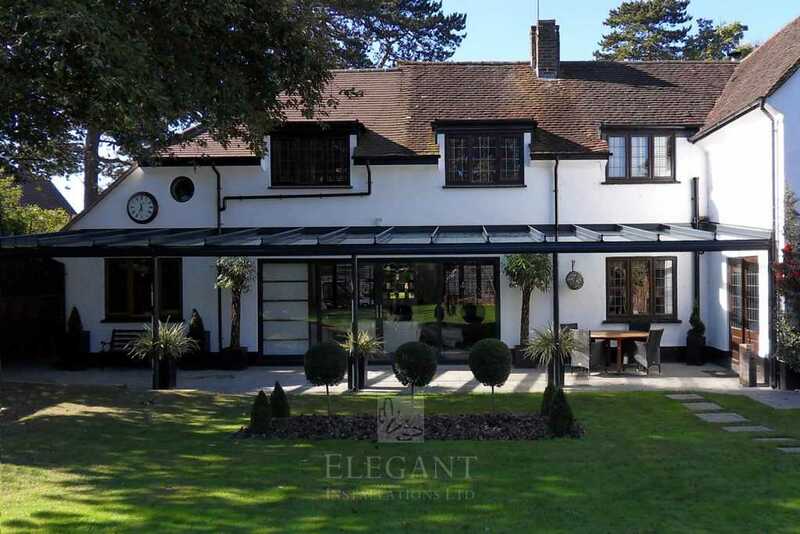 The client expressed delight with Elegant’s attention to detail and the care we gave dealing with their wall pipes, commenting how this must surely be one of the most impressive glass verandas in Surrey. 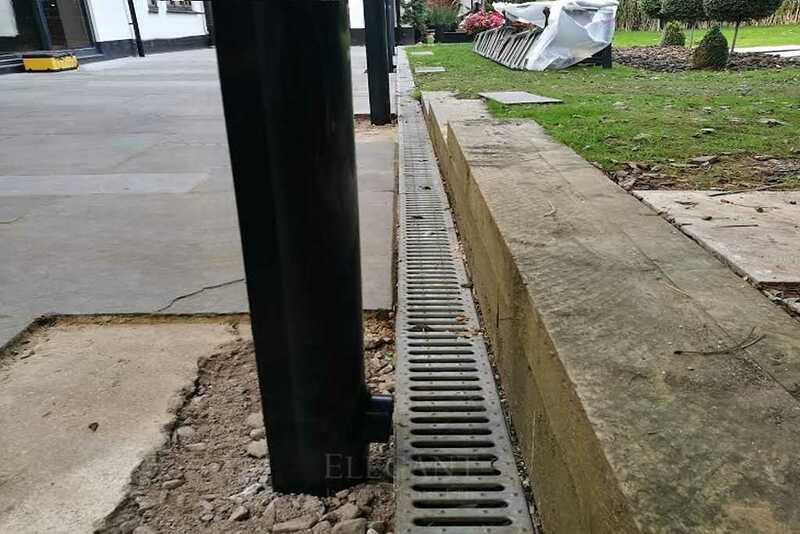 Of particular note; during survey it transpired that this patio reaches outward 11cm further at one end than the other, which would have left their leg posts noticeably irregular along the grate! 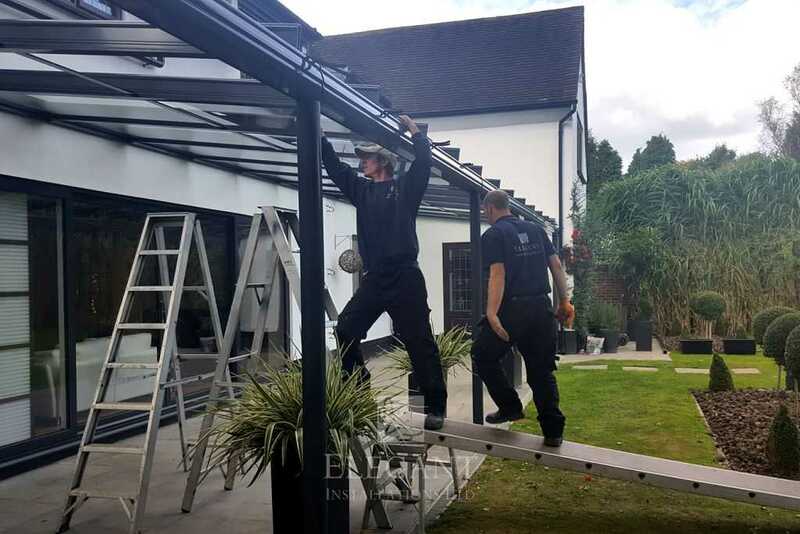 Remarkably, our head installer Paul undertook cutting each roof beam down by hand, then measuring each glass pane individually achieving a finish as near perfect as possible.